Do they ever really stop ? This time, WhatsApp is working on a new awaited feature of Video Calling. Year ago, WhatsApp had launched Audio calling on its mobile apps and this time leaks have surfaced showing Video Calling feature in action on WhatsApp for Android & iOS apps. 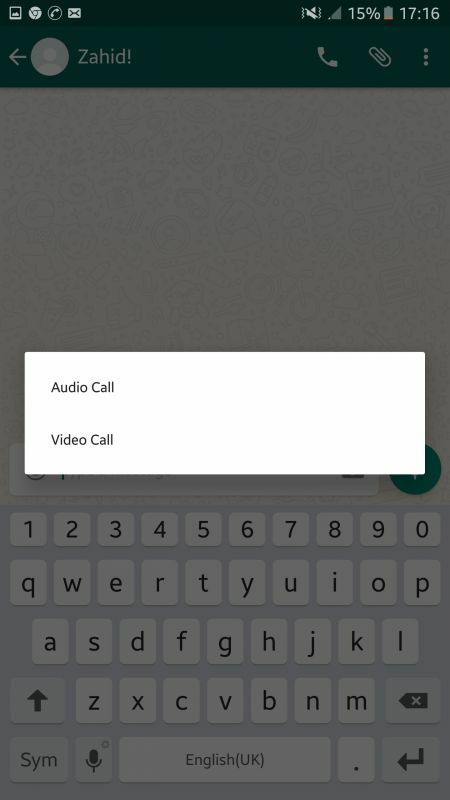 There aren’t any major UI changes for the Video Calling button, except for that when you hit the default Calling Button available on WhatsApp chat screen, you’ll be prompted to choose between an Audio or a Video call. This new Video calling feature is available for users who have signed under Beta testing program of WhatsApp and are using the version v2.16.80. There are already quite a few Messaging applications, which provide Video Calling like IMO, Facebook Messenger, Skype or FaceTime from Apple. WhatsApp for Web now allows sharing of PDF document.